“Three industries, which once flourished in Hong Kong were salt-making, incense tree cultivation, and pearl-fishing. 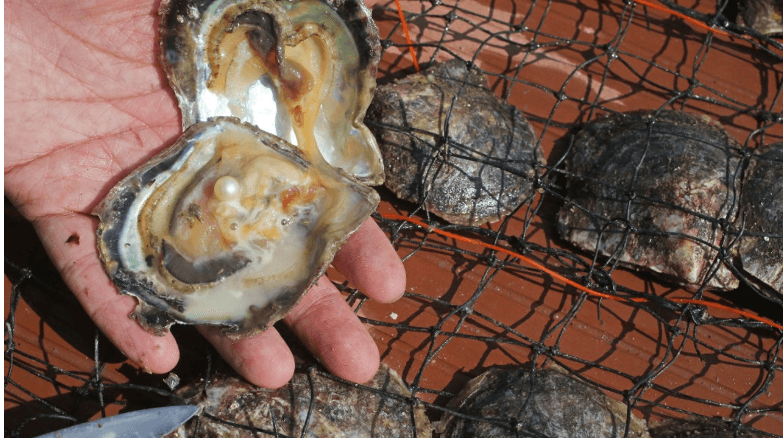 Of these, pearl-fishing was probably the oldest and the waters of the so-called ‘Tai Po Sea’ were fished for pearl oysters as early as the Han Dynasty. The term, ‘Tai Po Sea’ referred loosely to all the off-shore waters around the New Territories but more particularly to Mirs Bay, which was also called the ‘Pearl Pool’ because of the abundance of pearl oysters there. At the time of the Five Dynasties (907-960 AD) the Chinese government employed teams of divers to harvest the pearls. During the ensuing 400 years the state of the industry fluctuated, with periods of government monopoly alternating with periods when control was relaxed – largely dependent on the greed or the benevolence of the ruler of the time. The population suffered as the industry waxed and waned, pearl-diving methods were primitive and mortality among the divers was high. By the Ming Dynasty, over-exploitation had reduced the population of pearl oysters to vanishing point. The industry died and has never revived to recover its former importance. Yan Tong Hoi (Double Haven) was a collecting centre for the pearls which were then transported overland to Tuen Mun for transhipment to Canton. The old pearl road passed westward from Yan Tong Hoi along a route marked by a chain of forts. The road went over the pass northeast of Tai Po Tau village, through Kau Lung Hang to skirt the Pat Heung marshes and thence via Ping Shan to Tuen Mun. Soldiers were stationed at the forts along the route for the purpose of protecting the pearls in transit. It is not easy nowadays to try to reconstruct the exact route taken through Plover Cove and Pat Sin Leng country parks by the pearl carriers. 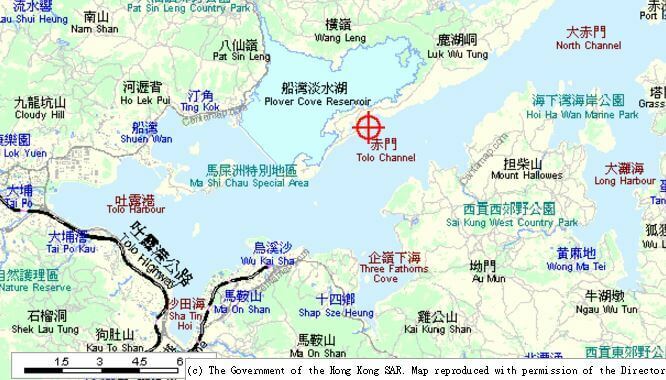 The most likely site of the old pearl road follows a path marked on old maps along the north shore of Tolo Harbour then branches off west-northwest at the present San Tau Kok, through the pass at Sha Lo Tung Lo Wai to Kau Lung Hang. This article was first posted on 13th December 2018.